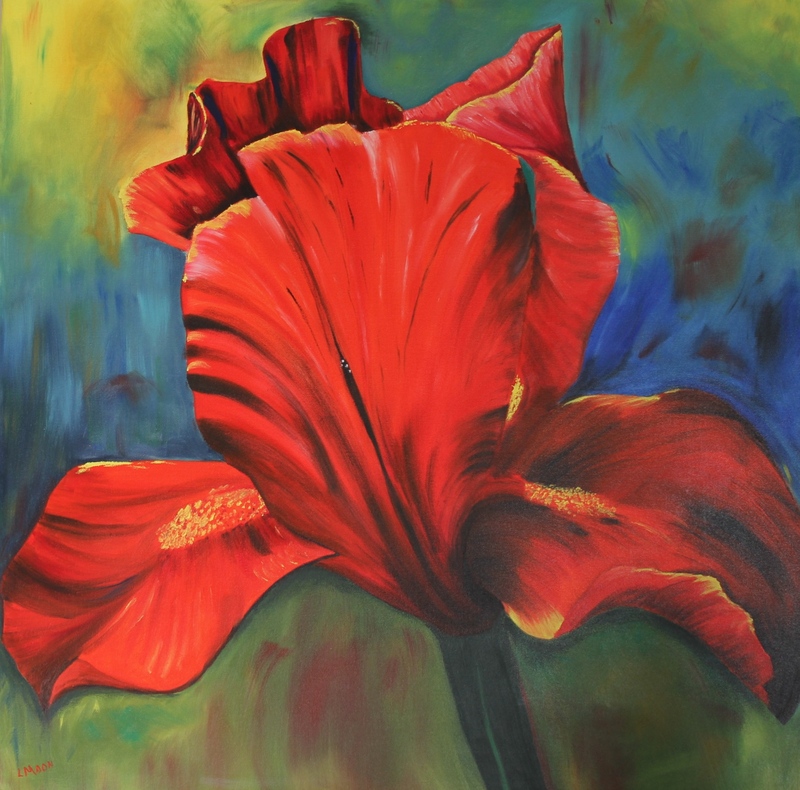 This 36″x36″ oil painting of a red iris is the largest I have painted. I enjoyed the challenge of enlarging the size and still maintaining the correct perspective. I painted this especially for a spot in our family room, which after hanging it up it came out much better than I envisioned. The word Iris means rainbow. It was named after the Goddess of the rainbow because Irises come in many colors. The Iris has been the symbol of France as far back as the 6th century AD. It became known as the “flour-de-lis” or flower of Louis, in honor of the kings of France. The Iris is the state flower of Tennessee. It’s also the national emblem of France. Iris Flowers are associated with twenty fifth wedding anniversary. The flower symbolism associated with the iris is faith, wisdom, cherished friendship, hope, valor, my compliments, promos in love, wisdom. This entry was posted in Oil Paintings and tagged Art, flowers, Iris, Oil Paintings. Bookmark the permalink. Oh my! I absolutely love this! How are you painting so many so quickly?! Thanks Cindy. I have about 2-4 paintings in process at a time. This one took me about 3 weeks to do. The abstracts are much quicker though.